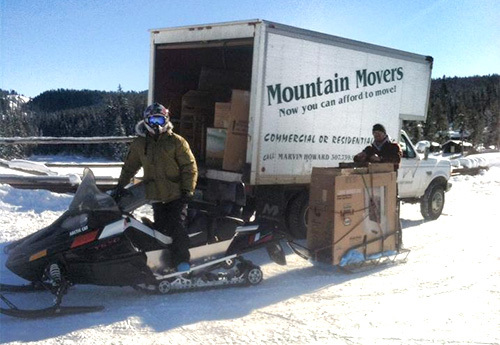 Since 1990, Mountain Movers has been a full-service moving company in Jackson, WY. We help plan and coordinate moving logistics, including moving, relocating, long-term climate-controlled storage and so much more. We offer services for commercial and residential customers, including specialty moving services like industrial moving and white glove handling. Give us a call for a free estimate and help coordinating your upcoming move. We can move anything! From fragile antiques and art to heavy and oversized objects like pianos and pool tables, count on us to move everything you own safely and properly. Moving across the state? We’ll be glad to take you wherever your move does and are equipped for long distance moves. Our team has more than 28 years of experience, allowing us to work quickly and carefully, getting you moved with a few headaches as possible. We’re proud to be members of the local Chamber of Commerce and the Better Business Bureau (BBB), with an excellent reputation. We offer free estimates on all of our packing and moving services, as well as any of the peripheral services and products we offer. Ask us for a quote today! Don’t have time to spend packing everything neatly or organizing it before a move? No problem! We offer packing and sorting services; our well-trained staff will pack and organize your belongings. We also provide affordable packing supplies such as tape, boxes, wrapping paper, and packing peanuts. Ready to take the headaches out of moving? 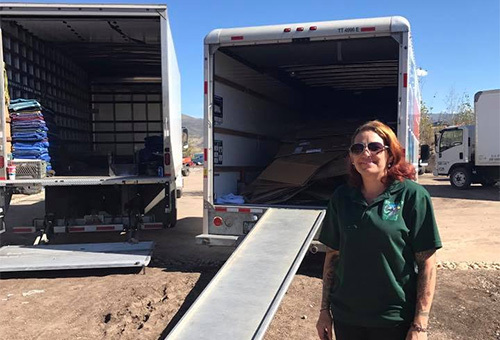 Mountain Movers will handle everything—from packing and moving to white glove handling of your sensitive items and more! Whether you’re going from an apartment to your first home or upgrading your living space to accommodate a growing family, we’ll be there to help you move. As experienced furniture movers in Jackson, WY, we’ll make sure everything you own is handled with care and treated with respect, loaded and unloaded properly. We can even move safes, concert grand pianos, pool tables and other heavy or oversized objects! We’re your all-in-one solution to moving. If the time has come for you to expand your office space, give us a call to make the move an easy one. We move office equipment and supplies, including desks, chairs, filing cabinets, shelves and anything else you need to run your business. We’ll get you situated in your new office and back to work in no time at all. Our experience moving large and oversized objects means we’re also equipped for industrial moves! We will move large and heavy equipment, including the likes of hospital MRI machines, architectural plotting machines, ATMs and more. Going beyond the borders of Wyoming? We support long distance moving throughout the lower 48 states and will work with clients up to 300 miles away from our offices if you’re moving to Wyoming. Many times, moving needs to be a delicate process. If you’ve got sensitive or valuable items that need a little extra care, count on us to deliver it. Our experience with white glove moving includes properly handling artwork, antiques and other fragile/delicate items. Skip the insurance claim and call us instead!